Today I want to share some tips aimed to maybe help focus game developers (or those thinking of getting into it) on worthwhile goals for the various stages they might find themselves at in their careers (or non-careers). I want to examine a few situations that the developer themselves may be in, rather than focus on game genres, just to be clear. At each stage I’ll look at some worthwhile goals, as well as your challenges, and unique freedoms that you may have. Hopefully people will get something useful out of this. Setting goals and focusing is key to success in any aspect of your life, so let’s get started! Let’s say, like a lot of modern musicians and indie developers, you have no intention of making game development your career. You finances are stable, and you do what you can in your free time purely for the love of it. You have a half dozen or more abandoned projects because as soon as something becomes boring you move on to the next fun idea. There’s nothing wrong with this – it’s your hobby! But let’s just say that you decide, maybe as a bucket list item, that you want to finish and release a game properly. Example Goal: Release a finished game for sale to the world within the next 3 years. Challenges: You have limited time to put into development, and this may be further hindered by life things like weddings, vacations, family events, etc. You also have limited expertise and (probably) an environment sparse of other experts to help you out or to playtest your game. You’re unlikely to dedicate a whole lot of time to marketing or community management, either. Freedoms: You don’t need your game to make money (this one is huge). You can make anything you want that will keep you interested (though be careful of feature creep if you actually still want to finish the game). Your ‘deadlines’ can be moved (though this can be a disadvantage if you’re not disciplined enough to keep the game roughly on track). You may have the spare cash from your day job to pay contract artists, voice actors, modellers, etc, thus vastly upping the quality of your game for little time invested. The best advice I think is to choose a game idea small-ish in scope that you can make, that you want to see the light of day, and that you want to give up your free time working on. These considerations are true for most of the people on this list, but especially so for hobbyists. Without peers around you, maybe try to find (or create) game dev meetups in your local area. An example would be The Games Co-Op that I organise each month in Dublin, Ireland. The goal is to give developers a regular date on the calendar that they know they can bring a game build to and get feedback on (a second goal is to network and find others to work with). 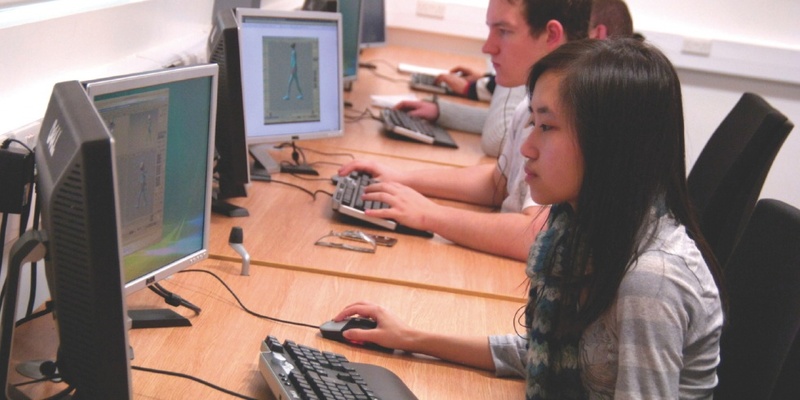 Image from an original article on game student employment prospects. Click image to read. Students are a funny breed. They often have the loftiest of goals, but are also probably enjoying their college years and don’t necessarily see these things as being at odds. I’m not for a second saying that they should not enjoy these years. On the contrary! They should make the most of them and cut down the expectations of what they’ll build in college during this time. Students often underestimate just how much hard work goes into making a game and how hard it can be to work with other people, especially when it comes to their friends. They should plan their projects accordingly. Example Goal: Finish your assignments and get a good grade for them (I wouldn’t go any further than this. Don’t think of your assignment as being Chapter 1 of your epic action-RPG). Challenges: Your ambition can be your undoing. You have other assignments that need your attention but which might be less interesting. Give them all due time! Young students especially will likely have plenty of party nights not working and then plenty of crunch sessions where they’re doing inferior/buggy work. You are assigned to work in groups (this is a major one. It’s actually an advantage long term as it trains you for real life and work in companies, but for college projects you often can’t choose who you work with and necessary skills might be missing from the group. The group will need a leader or there’ll be a too-many-chefs situation.) The college probably technically owns anything you create, and if not then you’re still sharing ownership with your team mates and you likely haven’t signed any contracts, have you? There are exceptions to this advice, like if you find yourself in a prodigious wunderkindgroup then maybe you should continue with them post-college, but generally the aim should be to get good grades on assignments, have a portfolio of finished or at least presentable projects, and to graduate as a strong individual. Presume to find some good collaborators and weed out some bad ones. After college maybe start something up with the good ones, but don’t presume to finish a particular project ‘after college’ with the same team. The members will disperse, get jobs, lose interest, or just not want to work with you again, but they’ll all own a piece of whatever you created together. Be prepared to let all those games go, but learn what your strengths were and prepare to build on them later. Remember that game mechanics can’t be copyrighted but the characters and assets you created do carry ownership, probably split between the group members. After college, rebuild the fun ideas if you must, but leave behind the names, models, and other assets. Example Goal: Keep building projects. Release some solo mobile games (finished and shipped titles are the most impressive thing for your résumé). Challenges: Basically life beginning, and all the demands you'll feel on your time. Make sure to keep up your craft or your'll lose it. I’m thinking of this period as somewhat transitional. Pay some attention to areas you need to improve (like modelling or pixel art for me) but also start moving into your speciality and building a portfolio that shows it off. This is the time where some recent graduates will go into paid work in other fields, never again to return to game development. Others will drift, doing a bit of game dev, a bit of other things, and in a year they’ll be competing with newer graduates without having gained a head start on them. The most driven ones will use this time to sharpen their skills, prove their worth, and either find good paid work, or find funding and start their own companies! Now that is a nice home office! This is a bit like the hobbyist, but with more of a profit motive. It requires goals, discipline, market research, and a proper accountant (good thing you can afford one (also, if you’re making money in any of these categories I’ve mentioned you probably need to be filing tax returns – just my little disclaimer – I’m not giving financial advice here today)). Example Goal: Release a mobile game every 6 months, waiting for a hit. Challenges: Most of the same ones that the hobbyist faces, plus trying to compete on the App Store(s). Trying to make the game stand out. This is possibly the most/only sensible way to tackle the mobile games market without millions of dollars to spend on marketing. Examine the market, make something, hope for a hit, don’t get one, learn from it, make something else, and repeat. But don't count your chickens before they hatch. Personally I chose not to compete in mobile because I didn’t have an interest in mobile games that would sustain me through the hard parts, and I also didn’t think I had a reasonable chance to stand out and make money. For me, game dev wasn’t going to be ‘on the side’ (at least when I started out) so this isn’t a route I took, though I might do it in future. The 6 month goal is achievable, and also gives you two chances at a hit each year. Not too bad..
Congratulations, you're living the dream!... maybe. In bigger studios you may feel like you have very little agency over what gets created, and in smaller ones you may fear more for job security long term (though you should always be concerned with this in the world today, especially in a games studio funded by profits). So what should you focus on? Example Goals: Sharpen your expertise to the max, utilising the mentor-rich environment that you're now in. Build your professional network. Get your name in the credits of some big titles. Challenges: Depending on where you are, you may be experiencing horrible crunch conditions (Don't allow this to destroy your quality of life. Stand up to this lose-lose practice). You may be working somewhere that forbids you from working on your own stuff on the side (for some terrible reason. So, know what you're allowed do, and push for internal game jams if this is the case. Creative people need a break from working on just one thing). You may have low morale if you're not making something that interests you, especially if you haven't other creative outlets. Freedoms: You're being paid to make games and are surrounded by people who can make you even better! Many companies will pay for or subsidise a trip to games conferences for you. Absolutely take advantage of this! This is one of the best places to be, but don't assume that your job will last forever (it might, but studios suffer lay offs or close completely all the time). Use the time to become amazing at your craft, and network and go to conferences so you meet people that know you're amazing. Your professional network of people you've met in person(!!) is the single best way to find work in the future. These may also be the people that you form an indie studio with, if that's your goal. The day Retroneo Games was born. Click for link to that blog post. This is where things get serious and you have to really start thinking like a business. This is kind of what I did except that I didn’t get to choose to leave my previous job (just as well though – tax advising isn’t as fun as game dev). Example Goal: Release a profitable game on Steam within 2 years. Maybe follow to consoles. Challenges: Budgeting accurately/ not running out of money/savings. Keeping to a timetable (they say plan how long your game will take and double it. I did. Then I had to double that, then life happened and the original schedule is irrelevant now). Creating a game that will compete on Steam (easier than mobile, but still incredibly difficult). Targeting a market gap (eg. I picked single-player space games) that will still be a gap in 2 years (or so) when you finish the game. Freedoms: Full time hours to dedicate to development (careful not to waste them by doing too much ‘research’ or adding unnecessary features). It’s possible to gain financial grants (varies from country to country) to support your game. Being full-time and putting your own savings in gives potential partners (profit-share artists, composers, or publishers) more confidence in your project and may help you build the team you need, even if you can’t afford to pay them directly. A lot of PC indies are in this full time development/ full time panic state. Money is a stress, but with solid business plans and some game development experience, you can make an honest go of it. Most games lose money, but a long sales tail on a decently-made, worthwhile game can be a good foundation for a business. Watch this great GDC talk on the ‘No Hit Wonder’. You are also in with a real chance of making good money (odds are better than winning the lotto, and can be improved by having a streamer-friendly game that’s excellently polished and stands out from the crowd). Goal: Create a new game that builds upon either the IP, the mechanics, or the essence of the original (that’s what your fans want. Five Nights At Freddy’s is a great example of a developer maximising the value of the IP they’ve built). Challenges: Usually you staff up, but hiring the wrong people can be a real challenge (remember: hire slow, fire fast!). Trying to keep fans happy – there are expectations now! Deciding what made the first game successful and building upon that without treading all over it (it’s a fine line to walk). Freedoms: Your track record (and sales of the original) should make funding/raising new finance/finding a publisher easier. You should be able to hire and pay more staff directly, and also attract better staff because you’ve proven that you can successfully ship a profitable game. It will be easier to get console dev kits or get special access to exclusive launch deals, as well as press and streamer attention. This is the position we probably all want to find ourselves in, yet none of us can start here. It requires mastering multiple (not all, but many) of the previous situations and also requires a powerful drive and resilience inside yourself. There will be many failures and many hard decisions to be made to get here, as well as sleepless nights and anxiety caused by having your work viewed, reviewed, and torn apart by the (voracious) gamer community. You might even get here and discover that it’s not what you wanted, but I think that for many of us, the financial freedom to spend our days doing what we love is the Holy Grail. 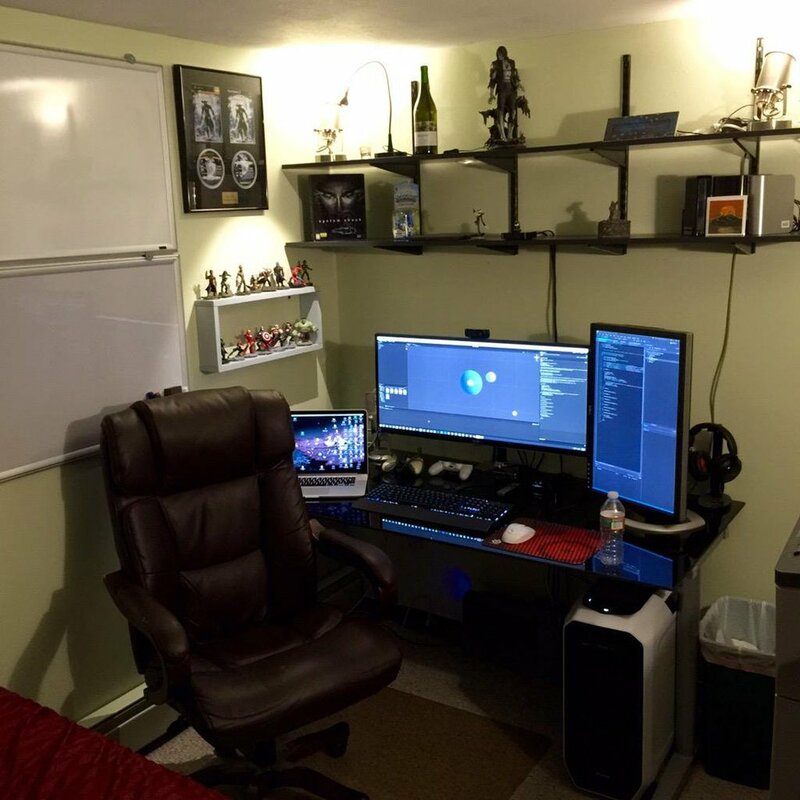 For anyone reading this blog, what you likely love is making games. Best of luck to you! I hope that I’ve been able to help in some small way. I’ve recently begun moving into part-time business workshopping and coaching, aimed largely towards creatives, artists and game devs. I still make games, and Sons of Sol is still happening, but I ran into the budget problems mentioned in the ‘I’m thinking of leaving my job and making a game full-time’ section. So now I’m moving into the ‘games on the side’ section, but with finishing the PC game as my goal instead of the mobile games (for now, anyway). Most of you will probably find yourselves hitting several of these stages over your careers. Personally, I kind of skipped the student one, but self-taught through 1GAM projects. If this guide was helpful or if you’d like to ask me anything related to game dev business, do get in touch through the comments or the RetroNeo Games contact page.